I've heard from countless brides-to-be, like my past client Mrs. Ashley Richardson, that it is a great idea to have newly engaged and newly married brides write in a journal. The whole process of becoming engaged, planning your wedding, and being a newlywed can be a whirlwind of emotions and events that seem to just fly by. Getting a journal and writing down your experience is the perfect way to savor every second of this process, clear your head, and have on hand for future reflection once you've been happily married after many years. A journal would also make a cute gift for a bride-to-be, along with a matching pen of course. These are by Jazzy Journals, and are made from actual books! Jazzy Journals, based out of Salt Lake City, buys old books from estate and rummage sales, then fills them will nice & thick paper. Each journal is special and unique, as each journal is a different book. Their website hasn't been up for too long, look for online purchasing soon! If you're in the Salt Lake City area, look for them at the downtown farmer's market during the summer. There's something about that Tiffany blue. 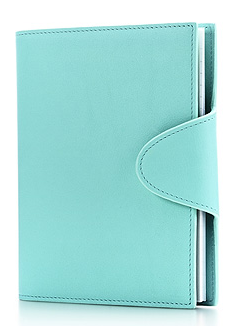 I just love that color, and I love this journal & pen set! 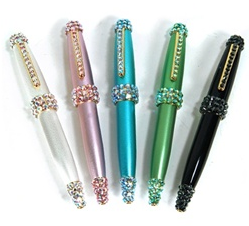 A rhinestone pen would be the perfect match to any journal. I like these from Charming Charlie. 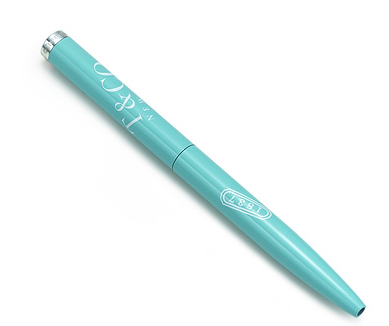 A great writing accessory for any girlie girl. I hope that you enjoy, or will eventually enjoy, writing in a journal as much as I do. I always like looking back at my previous entries to see how much I've grown and what challenges I've overcome. It's also a great way for me to wind down at the end of a hectic day!